(b. Havana, March 1, 1939). Cuban composer, guitarist and conductor. In 1953 he began his studies in the guitar with Isaac Nicola, founder of the Cuban guitar school, and in 1955 he made his performance début. In the same year, and self-taught, he started to compose (e.g. Música para guitarra, cuerdas y percusión and Suite no.1 for guitar); his first works were published in 1956. He was awarded a grant (1959) for advanced guitar studies at the music department of the University of Hartford and for composition at the Juilliard School of Music in New York, where he was taught by Isadora Freed, J. Diemente, Joseph Iadone, Persichetti and Wolpe. In 1960 he started working in cinema, as head of the department of music in the Instituto Cubano del Arte e Industria Cinematográficos (ICAIC); he has written scores for more than 60 films. He was involved in setting up (1969) and running the Grupo de Experimentación Sonora at ICAIC, becoming the teacher and mentor of its members, who included Silvio Rodríguez, Milanés and other important figures of contemporary Cuban music. He worked as musical adviser for Radio Habana Cuba (1960–68) and for other Cuban institutions, and taught counterpoint, harmony and composition at the Conservatorio Municipal in Havana (1960–67). His book Síntesis de la armonía contemporánea was a core text in his classes. Together with the composers Juan Blanco and Carlos Fariñas and the conductor Manuel Duchesne Cuzán, Brouwer launched the avant-garde music movement in Cuba in the 1960s. He has been the most significant promoter of the bi-annual Havana Concurso y Festival de Guitarra, and in 1981 he was appointed principal conductor of the Cuban National SO. He has also conducted many other foreign orchestras including the Berlin PO and the Orquesta de Córdoba, Spain, which, under his direction, was formed in 1992. He is a member of the Berlin Akademie der Künste, of UNESCO, of the Real Academia de Bellas Artes Nuestra Señora de la Angustias in Granada (1996) and Honoris Causa Professor of Art at the Instituto Superior de Arte de Cuba (1996). 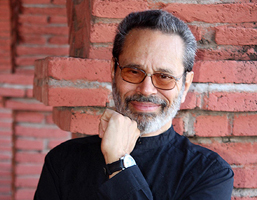 For his contribution to the Cuban and international music scenes he was awarded the Orden Félix Varela, the highest honour granted by the Cuban state for culture. Three phases can be identified in Brouwer’s work: the first, nationalistic (1955–62); the second, avant-garde (1962–7); and a third in which avant garde elements diminish and, particularly after 1980, a creative process described by the composer as ‘new simplicity’ emerges. The first phase is characterized by the use of traditional musical forms, including sonata and variation form, and by tonal harmonic structures rooted in nationalism (e.g. in Homenaje a Manuel de Falla (1957), Tres danzas concertantes (1958) and Elegía a Jesús Menéndes (1960), among others). During this phase, despite the prevailing use of tonality, a tendency to structural fragmentation may be discerned, as well as the employment of several simultaneous tonal centres, a device that has remained throughout his output. Though never lacking formal rigour, Brouwer’s works have in general sprung more from a sonic conception: ‘I use any form to help me find musical forms: that of a leaf, of a tree or geometric symbolisms. All these are also musical forms; despite the fact that my works appear very structured, what interests me is sound’. This concentration on the sensory, and an accompanying use of extra-musical formal sources, is most to the fore in Brouwer’s second phase, which was, with the Cuban avant garde in general, heavily influenced by the Polish school; he first heard this music at the Warsaw Autumn in 1961. Variantes for solo percussion and in particular Sonograma I for prepared piano typify this phase, which also included a brief turn towards serialism, in works such as Sonograma II and Arioso (Homenaje a Charles Mingus). Basic materials frequently comprise intervals of the 2nd, 4th and 7th and chords of superimposed 6ths, 9ths, 11ths and 13ths. Complex polyphonic textures dominate, with thematic independence retained within the different planes of sound, and a resultant richness in rhythmic conjunction. Other common devices include pedals, ostinatos, sequences and melodic and rhythmic echoing. One of Brouwer’s most important avant-garde works, which has become a major piece of the guitar literature, is the solo Elogio de la danza (1964). In two movements – Lento and Ostenato – it was originally composed for dance with choreography by Luis Trápaga; it makes reference to primitive dances and to mysticism, and conveys an image of stamping feet and gyrations together with other dance elements. Between 1967 and 1969 such works as Rem tene verba sequentur, Cántigas del tiempo nuevo and La tradición se rompe …, pero cuesta trabajo approach what would now be the postmodern, characterized by sharply defined contrasts in structure and texture and employing references to various historical periods. In La tradición se rompe …, pero cuesta trabajo, for example, the interpolation and superimposition of elements of such composers as Bach and Beethoven in a suggestive heterophony borders on caricature; further, the participation of the audience is invited with a persistent ‘sh’. All this is integrated into a process of thematic and instrumental development that evolves through a powerful, controlled aleatorism. In the 1970s Brouwer continued to work on post-serial and aleatory ideas, for instance in La espiral eterna for guitar. But by the 1980s a ‘new simplicity’ had begun to take hold, involving neo-Romantic, minimalist and newly tonal elements. There is a marked lyricism in this third period, the use of varying nuclear cells to generate development, and the return of traditional forms exemplified in works like Canciones remotas, Manuscrito antiguo encontrado en una botella and La región más trasparente.